Have you ever been walking through the park, listening to the latest pop album, and wanted to whack up the volume because a group of loud yobs are listening to their boom box? Now you don’t have to worry, with the Novo! 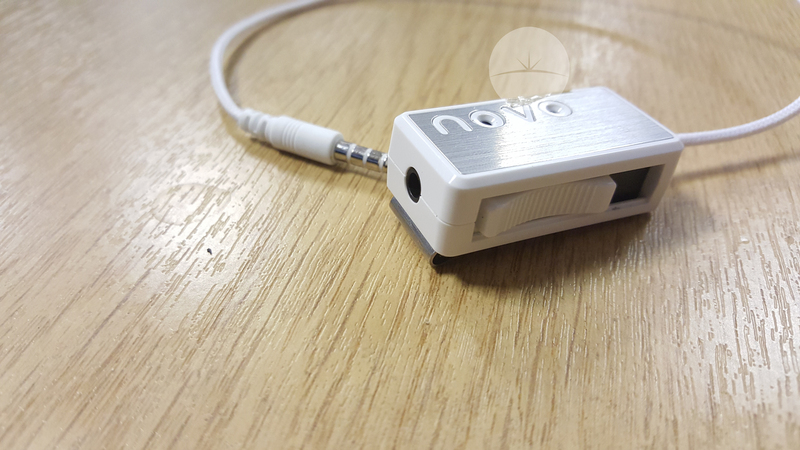 Novo is a headphone accessory that adjusts your headphone volume based on the ambient noise around you. Which means your phone can remain in your pocket, and whatever happens around you, the volume will adjust to match. I will admit not being massively blown away by the design of the Novo. This box on a piece of string look isn’t a huge selling point for me, though I don’t think design was at the forefront of the making process. As I think with the included clip on the back, the Nova will spend most of its life in pockets and bags. 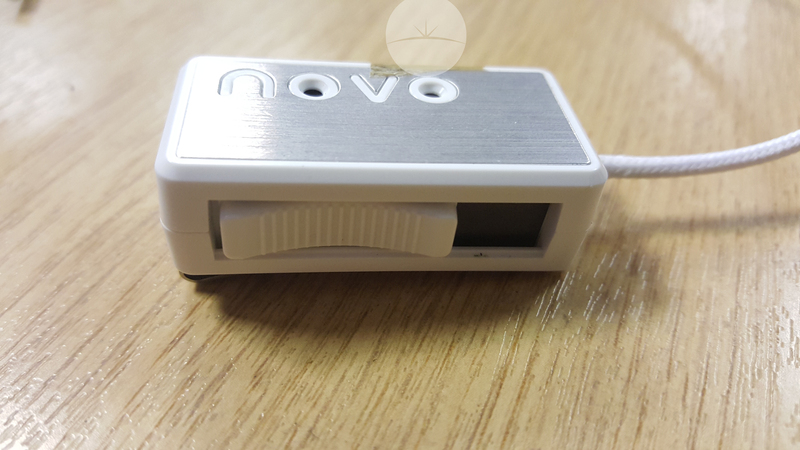 The Novo comes in 3 flavours, with the white box not changing, but the brushed metal coming in different colours. I get a distinctive “Apple” feeling when looking at the Nova, and I can’t blame them as I hear Apple products are quite popular now. When handling the Nova I got the feeling that there was nothing inside, as it was incredibly light. Though having used it, and seen the making process, I can confirm there is tech in this white box. Giving it an almost TARDIS effect. Setup was easy, plug in the Novo into my phone and then plug the headphones into the Novo. A green LED will then flash on to show everything is working as it should. There isn’t much to the controls of the Nova, just one switch and a slider. The small switch allows you to switch between a boost and reduce mode, which essentially increases or decreases the sensitivity. The slider allowed me to fine tune the sound produced by the Novo. So does it work? The answer is yes! When in boost mode, the Novo increased my volume when on a call, when cars were driving by. This also worked when listening to music, at the station, when a train went by the volume increased the mask it. In the reduce mode, I could enjoy the tracks of Metallica at work, and if the phone rang, or a colleague came over the volume would drop so I could hear them. At around $30, the Novo is a nice little accessory to have around the house and even at work. 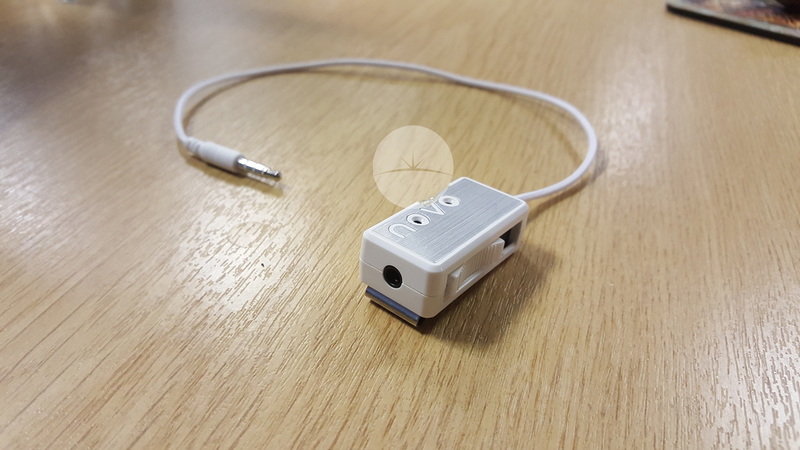 Now you can listen to music, and hear your boss asking you a question.